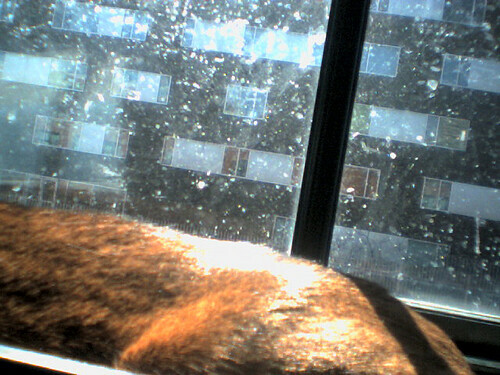 I’ve put the little “CatCam” on all of the cats…and, interestingly enough, Angel takes the most visually interesting photos. Somehow, that doesn’t surprise me; she always seems to see things the other cats don’t notice. Angel took these photos of Jacoby this morning. Pretty good for a cat! If you put these two together side-by-side, they make one photo of Jake, almost like she planned it. 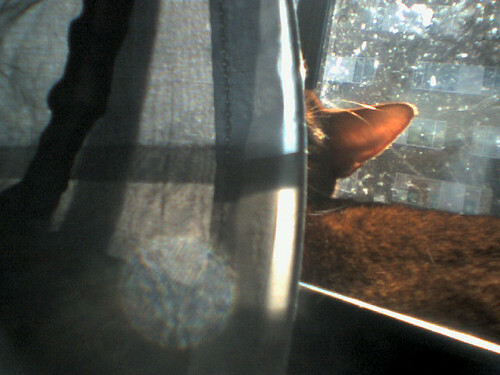 Thanks to TheNewBrunette, I’ve discovered a new pasttime: trolling eBay for old photographs of Abyssinians. And, wonder of wonder, I actually found one and won it. The photo was taken by Kenneth Heilbron, a photographer from the 1930’s -1950’s whose work appeared in Life magazine. The seller has more Abyssinian photos, but he doesn’t realise that they’re Abyssinians; he thinks they’re just artistic cat photos. I found it by sheer luck…and I absolutely love it.